Yesterday, Krewella released their first single in over a year, and apart from receiving massive acclaim, there’s a wee bit of controversy to go along with the track. 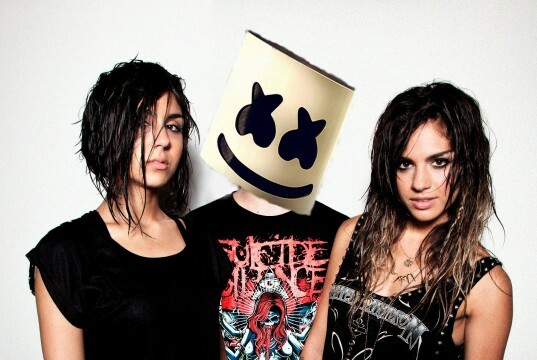 After the Yousaf sisters posted their rap teaser on Facebook, Marshmello took it upon himself to stir the pot. The masked delicatessen posted a comment which matched Yasmine’s bars quite nicely, and also hinted at the artists working on something together. Alone, this would have been a standard bout of fun between the two, but Krewella fired back a mysterious Tweet on the day of “Beggars'” release. Now, they could certainly be using the speculation to hype their new single, but our hopes are on something a bit more tangible. We’ll let you be the judge….